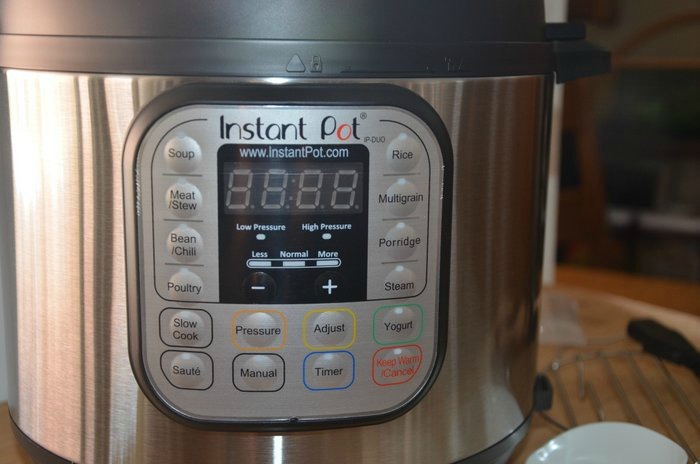 Today I want to show you how to use an Instant Pot and save time cooking. I’m sure you’ve heard the buzz about an Instant Pot, right? Well, I have been using an electric pressure cooker for years and an Instant Pot is a new name for an electric pressure cooker. 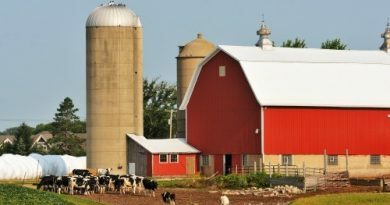 They do the same things like saute/browning, steam food, cook meats, and vegetables. 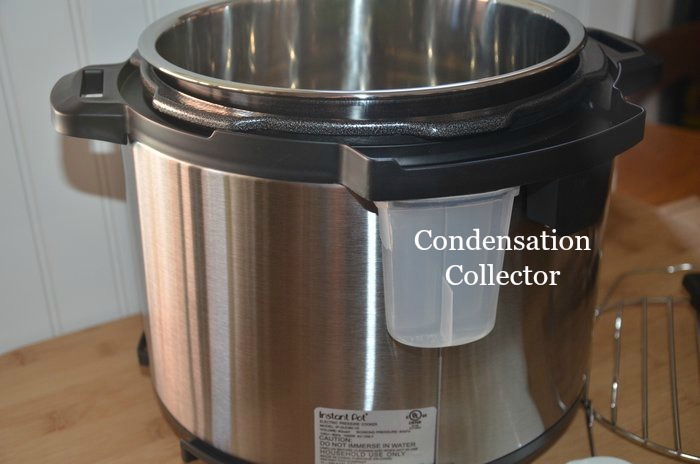 It can also be used as a slow cooker, rice cooker, quinoa cooker, cook fruits, casseroles and keep them warm. I must tell you once you start using a pressure cooker there will be no going back. You can cook meals faster and the meat is so tender, wow, you will love it! Did you mom or dad use a stovetop pressure cooker with a handle? I grew up watching my mom use hers. So, now let me show you a few tips on how to use an Instant Pot. There are a few different models, I am showing you the Instant Pot Model #IP-DUO60 7-in-1 Multi-Functional Pressure Cooker, 6Qt/1000W today. I have a Fagor pressure cooker that I love using and the book clearly states you MUST use one cup of liquid with any food you cook in the pressure cooker. I looked through the Instant Pot manual and could not find any amount of liquid required in the book. I went to the Instant Pot website and couldn’t find it there either. The box contained a small plastic cup that is less than one cup but more than 3/4 cup. I went with my gut and used two of those containers filled with water to cook my chicken tenderloins. Then I sprinkled some spices over the meat. Put the lid on and then locked it in place with the pressure valve turned to “sealing” and pushed the “manual” button, then the + symbol until it showed 12 minutes. You can adjust the time for a longer time period if needed. I need to explain two things before I go any further. Natural release means the food continues to cook after you press “cancel” but the residual heat and steam wait for the pressure to come down on its own naturally. This will take about 20 minutes or more depending on how full the pot is filled. Then it’s ready to unlock the lid and serve. There is still steam so please be careful when you turn it to “venting”. Here’s the deal, you basically put the food you want to cook into the pot and add a minimum amount of water required. If you are making a certain recipe you will follow the directions in the book for that recipe. I cooked some small red potatoes with one cup of water, put the lid on, turned it to lock it and turned the valve on top to “sealing” and clicked “manual” and pushed the + symbol until it said 20 minutes. Call me Nervous Nellie but I could not find the amount of liquid required so I used two containers. I saw complaints all over the website asking how much liquid. I have taken many pressure cooking classes with Chef Brad so I feel comfortable using one cup as a minimum amount of liquid for meat, vegetables, fruits or casseroles. You turn the lid clockwise to lock and counter-clockwise to unlock the lid. Remember when you turn this on the pressure is building up and is very hot when released. 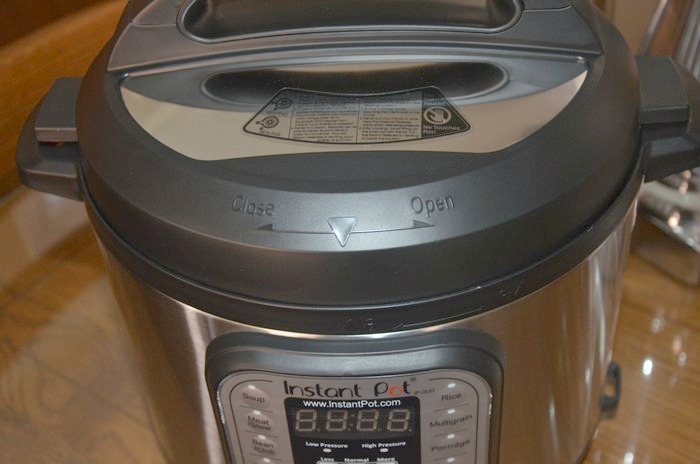 This is the front of the Instant Pot Model #IP-DUO60 7-in-1 Multi-Functional Pressure Cooker. If you have a 6-in-1 Instant Pot it will look a little different. They both work great! 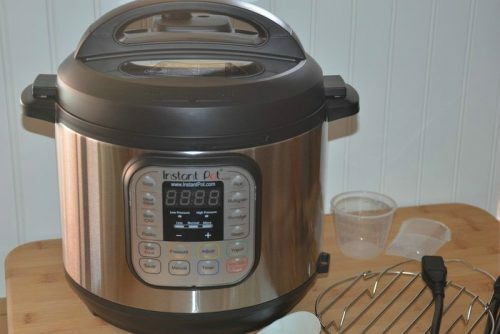 I have never used more than two features on my Fagor Pressure Cooker or this Instant Pot. 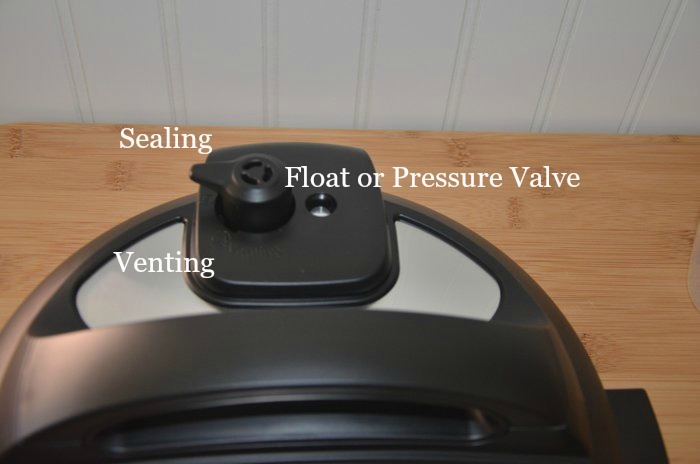 This is the top of the lid that shows you the sealing and the venting float or pressure valve. It’s easy to use, I promise. The little plastic container snaps on the side of the housing as shown below. Here you can see how to turn the lid to open and close it. The lid sits firmly on the base with a twist to lock it in place. I love that we can make healthier meals (depending on what we put in the pot) faster and spend less time in the kitchen. What a great giveaway! I’d love to win this for my friend as I just got one of these fantastic meal helpers. It is a great adjunct to my sun oven. Just yesterday I started some pinto beans in the sun oven but our skies were slightly cloudy and they didn’t quite finish so I popped them into the instant pot for 10 minutes on high pressure, quick-released when done and they were perfect. I also make steel cut oats in the instant pot – 1 cup oats, 3 cups water and any additions like raisins, unsweetened coconut, frozen fruit etc. , select 5 minutes high pressure, let it sit for an additional 5 minutes then release whatever pressure is left. I have perfect oats and they don’t stick to the pot. There are so many great instant pot recipes out there too. My pressure cooker adventure is just beginning. I’m excited to try your posted recipe and any future pressure cooker recipes you post. I was one of those people scared of ever using a pressure cooker but I took the plunge with this appliance and am very pleased. I’ve used a regular pressure cooker, but not an Instant Pot. You make it look easy to use, and it’s nice that you don’t have to babysit it. Thanks for the chance to win one. 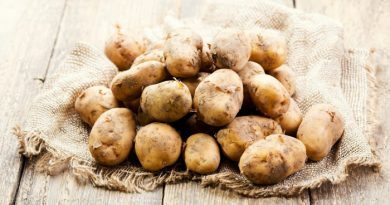 I started using a pressure cooker on the range top in the early 70’s, before moving on to canning in a pressure cooker. I’ve never had an electric cooker, but will have to start looking into these soon. Since my husband is now on oxygen part time for now, I’ll soon have to be total electric to stay safe. 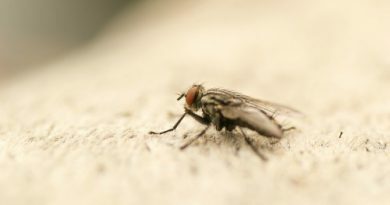 Any other ideas for people in our situation, please consider a post.. thanks for all the information you provide. Thank you so much for this post filled with great info. I’ve researched new crock pots. I have at least 6 of various sizes. I Have used 4-5 at a time in meals preps because I have only one oven. I wanted to get a NEW model that does the browning & everything else the OLD ones don’t But, in reading all the reviews. there were so MANY complaints of the liner bubbling & peeling I just won’t spend a couple hundred dollars with those problems being a big result. Now you show a stainless steel liner & I think problem is gone. I will research once again & hope I find better reviews. Thank you. Linda, you’re reading my mind again: I was just about to go shopping online for one of these! We live at high altitude, so beans take a long time to cook, and my crockpot broke ages ago. I think this would be the ideal replacement.